There’s a buzz around virtual reality (VR) and it’s easy to see why. VR is “the next big thing” in entertainment, marketing and industry training. Since the emergence of VR headsets such as Oculus Rift and Samsung Gear among others, VR has really captured the public’s imagination. Subsequently, we are beginning to see a broader range of clients spanning numerous industries. Forward-thinking companies can see the value this exciting new technology offers on multiple levels. 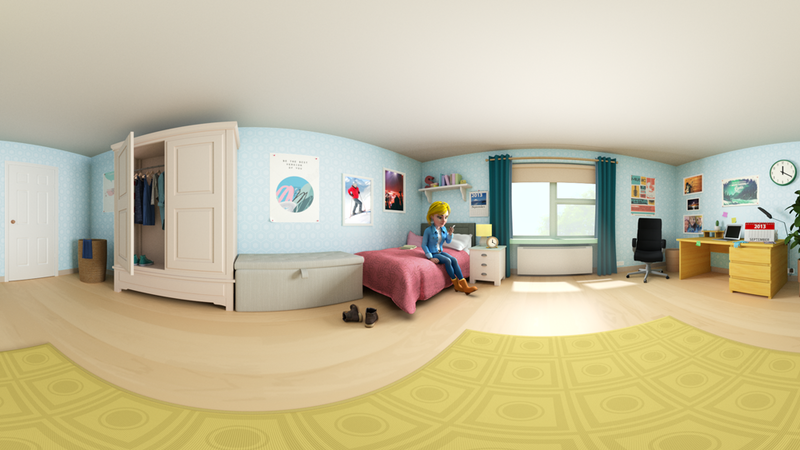 VR is not only for gaming and making films pop to life. 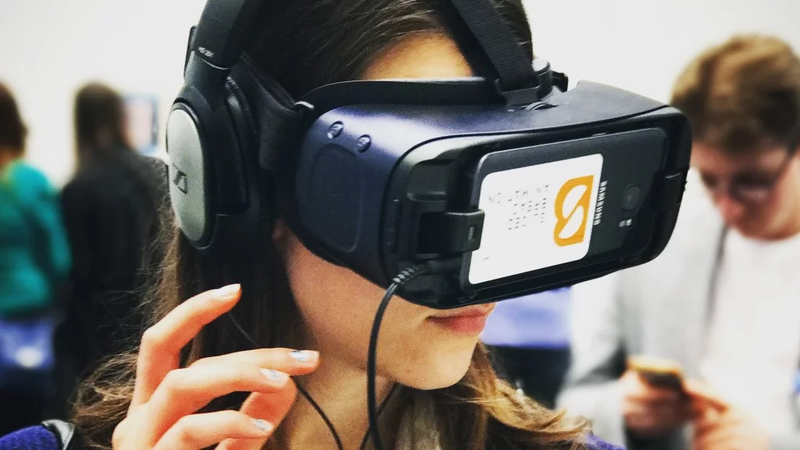 Organisations are using VR technology to create real-world training programs for employees and marketers provide customers with fully-immersive experiences. Brands that have already adopted VR for marketing campaigns saw an ad success rate of 29.8%, significantly more than mobile (1%) and desktop (0.4%). VR adoption is not even widespread yet, but given 81% of user tell their friends about it, VR is expected to grow exponentially in the next two years. Even if you don’t know much about virtual reality or the technology, you probably know enough about VR to recognize its potential. But what should your business expect from virtual reality, and is the technology worthy of all the hype? The first challenge you will face when switching to VR is you need to change your mindset. Creating virtual reality videos is not the same as traditional video, therefore the way you create your content has to be slightly different. For example, VR is a tool that enables marketers and trainers to provide a fully immersive experience. You can place the end-user in a real-life situation wherever they are. This removes any danger that could possibly be involved in the video and prepare people for the conditions. Whereas traditional video is often used in advertising for pre-roll and mid-roll spots, VR is not suitable for quick-hits. People need to be allowed the time to enjoy the experience. When making VR video ads, consider placement, time span and how you should approach the content. What experience do you want end-users to have? When you think of virtual reality, you probably imagine 3D simulations that transport into another world which you physically feel you are interacting with. And yes, in general this is what the virtual reality experience does. But there are other facets to the technology. Augmented reality and 360-degree videos are not virtual reality per se. They are attributes you can add to videos to provide end-users with an interactive experience. For example, 360-degree video involves filming an actual location that end-users can explore through controls on their mobile. Augmented reality are features you can add to the 360 video. Whilst 360-degree video and augmented reality can be viewed through VR headsets, they do not project the user into a scene in the same way you can with VR. There is no sensory perception of actually being there. VR headsets lock the five senses away from the real world so users are not distracted, but the world you create through VR is also more realistic. You do of course need 360 and augmented reality to build a virtual world. They are essential for adding features, story-telling and providing a fully-immersive experience. However, on their own, they do not captivate your audience in the same way VR does. It is important to understand the difference between VR, AR and 360-degree technologies so you know what to expect from your project before you instruct a VR agency. Using all three obviously delivers the best results. You may have read articles that say making virtual reality videos costs in excess of £500,000 – £1m. That may have been the case several years ago for corporations creating entire VR campaigns for the year, but it is not the same situation for everyone. In reality the cost of making VR is much more affordable. Having said that, your expectations must be realistic in line with your budget; small businesses on a small marketing budget probably won’t have enough to produce a video ad that is amazing. Before instructing a VR agency, you should know exactly what you can get for your money. We can help you work that out. Nothing is impossible because the end product is about the content, not the hardware. What you should consider is how to engage an audience in a simple way that will give you a return on your investment. If you are contemplating making a virtual reality video but still have reservations about the cost or the content, get in touch for a chat. The best way to make a decision is having information to hand that enables you to find a solution. You can also download our free Sliced Bread Animation VR FAQ.